There’s nothing like the sound of live drummers beating with a heart pounding performance of fire knife dancers or the beautiful rhythmic melodies of of Hawaiian music! Live music just can’t be beaten! 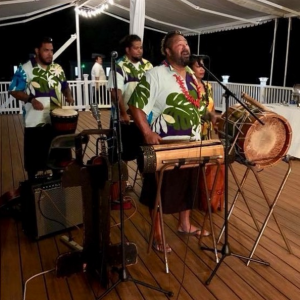 Enjoy Isitolo Oloa and his live band as he serenades you with Polynesian music throughout the night.